A magnificent site of culture and learning, Nalanda is among the most popular religious centers of India. It was created in the 5th century and was the desired destination of Gautam Buddha and Lord Mahavir who stayed for many years. Having rich tradition and mores, this place has gained honors worldwide. It is visited by folks to scout monasteries and very old monuments. It is indeed a fantastic destination for history lovers. 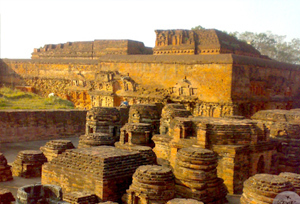 The relics of the ancient university are the main appeal in the entire town of Nalanda. In addition to this, beautiful temples also represents the splendid past of Nalanda. One must not miss out on a place like this that carries great culture and history of the ancient times. Nalanda has a fabulous history dating back to 6th century in the times of Gautam Buddha and Lord Mahavir. 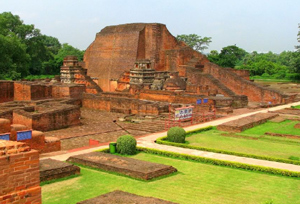 Scores of myths have been connected with the fruition of the name of Nalanda. The most famous one is Nalam that means lotus and da signifies giver. It is also famous for being the source of Sariputra, a significant devotee of Gautam Buddha. A vital site for Buddhism, it is believed to have been visited by Lord Buddha several times. Moreover, there are memories of Hiuen tsang, a chinese traveler who was a part of Nalanda University for 12 years. In the 3rd century BC king Ashoka is deemed to have constructed numerous temples at Nalanda. And as a result is closely associated with the place. During 2nd century BC the famous alchemist Nagarjuna did teaching and learning here. Subsequently, it came under the rule of Guptas in the 5th century. During 606 to 647 AD, the city was ruled by the empire of Mauryan king Harshavardhana. Hiuen Tsang Memorial Hall: A chinese tourist who stayed at world's first university known as Nalanda University, Hiuen Tsang Memorial Hall is a must visit attraction of Nalanda. Nav Nalanda Mahavihara: An important educational institute of Nalanda, Nav Nalanda Vihar offers education basically on Pali and Buddhism. It was founded by Bihar government in 1951 and serves as a main site for students who wish to gain a profound knowledge in Buddhism. Bihar Sharif: Having remnants of medieval Islamic structural design of the Gupta kingdom, Bihar Sharif speaks about a superb tradition that entices the tourists from all over. Rajgir: Surrounded by seven mountains, Rajgir is said to be the main site of Gautam Buddha during rainy time. The main attraction of Rajgir is its dance festival that reveals classic performances of experienced performers. Moreover, the serene locations and verdant landscape make it a perfect place of tourists and pilgrims. By Air: Loknayak Jayaprakash Airport would be the most convenient one to make it to the sacred city of Nalanda. It connects to main cities of India like Kolkata, Bangalore, Jaipur Mumbai, New Delhi and many more by daily flights. By Train : The nearest railhead is at Rajgir, about 12 km away. One can take a taxi from the railway station to reach the desired destination.